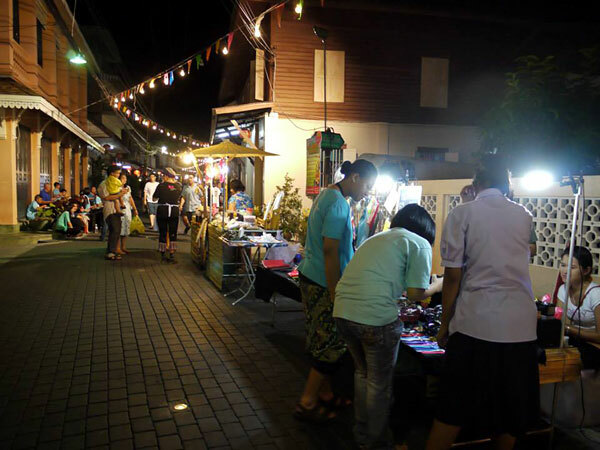 Yomjinda Walking Street is one of most interesting places in Rayong. 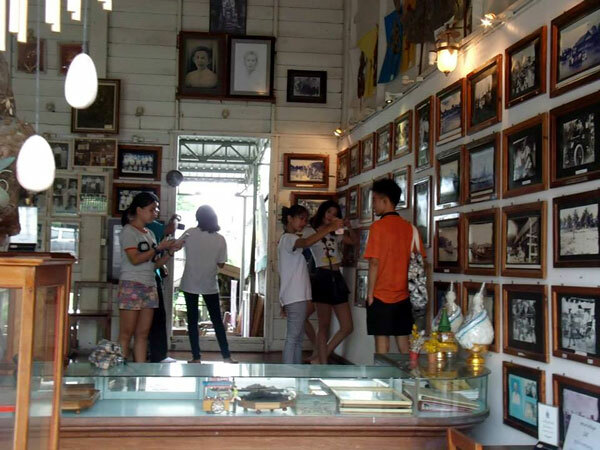 It is a great place to explore old architecture of Rayong city. 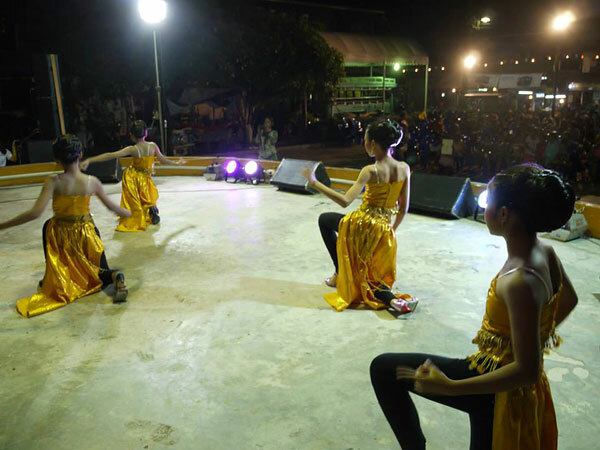 Not just the architecture, this old street is also set up to present activities by locals, such as traditional foods, fair trade crafts, music, dance, and shadow puppets. When running by the community, the atmosphere of the street here becomes even more antique. 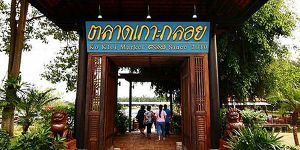 This night market is worth visit, so if you have a little free time at night near downtown of Rayong, don't forget to spend your time here. 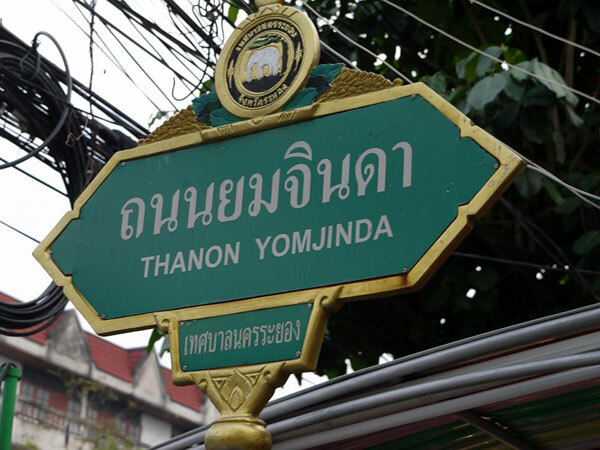 Yomjinda street was built as the first street in Rayong at the old time. It was also the most economic area of this province. Many shops, a few banks, a cinema and a market can be found here. However, as always, things change when time changes. With town development and economic growth, Yomjinda streets had become less popular because of other major streets, bus terminal, hospital, department stores and buildings. 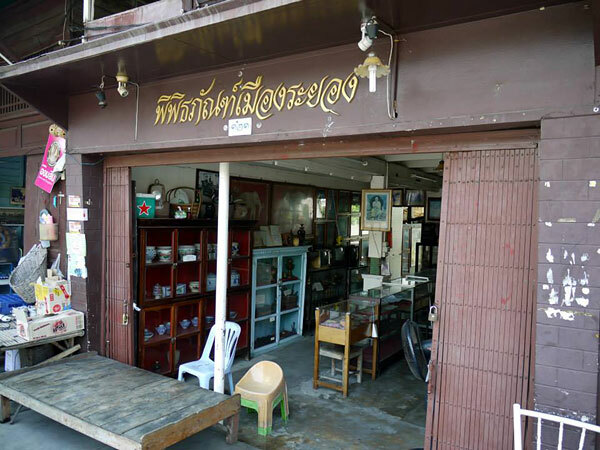 Fortunately, with the collaboration between town preserving club and municipal of Rayong, Yomjinda street has been brought back to live again with antique atmosphere so that either current residences or visitors can look around how the community look like a century ago. 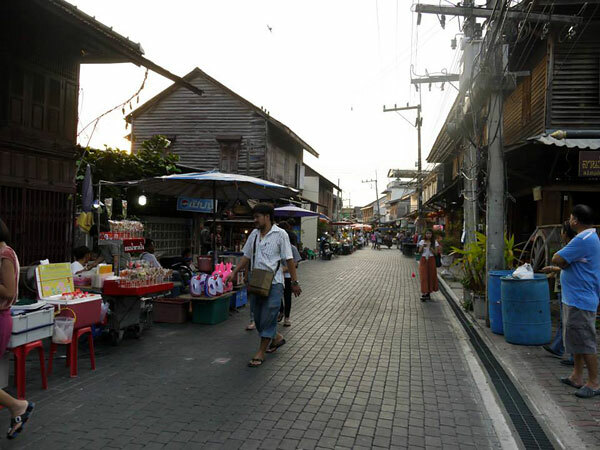 In fact, Yomjinda Street now is a normal street in Rayong city. However, with its regulations, every evening on weekend the street is organized as a walking street, so people are not allowed to use vehicle in the street during the time at all. 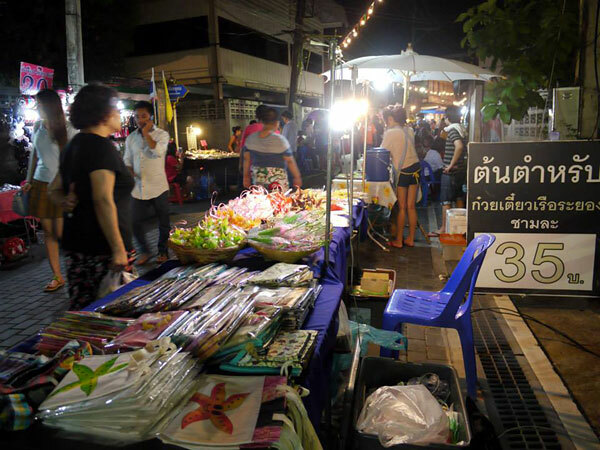 At this walking street, visitors are able to find many traditional Thai foods, including Padthai of Rayong and finger foods. 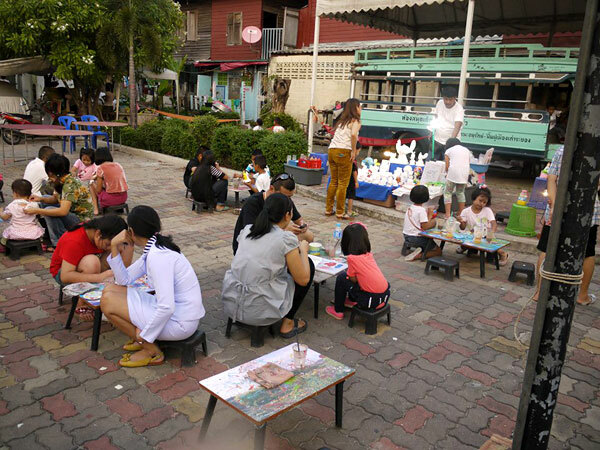 Painting or Sketing by street artists are very common to be found, and visitors, of course, can participate in. Antique objects and vintage vehicles from a few decades ago are also available to visitors to have a look. 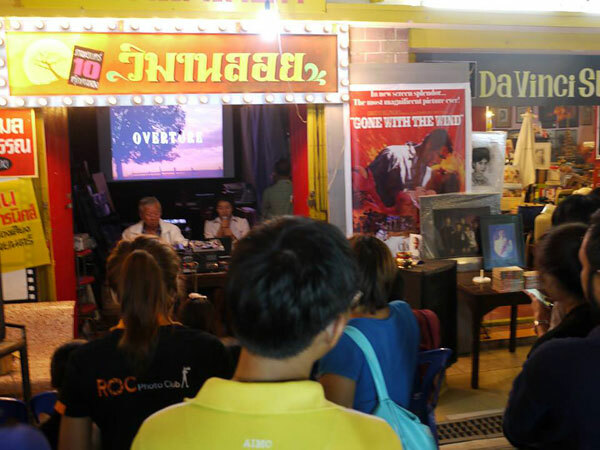 There is also a gallery of Rayong city located here. It is a place where visitors can see ancient objects such as books, furniture, kitchenware and pictures. 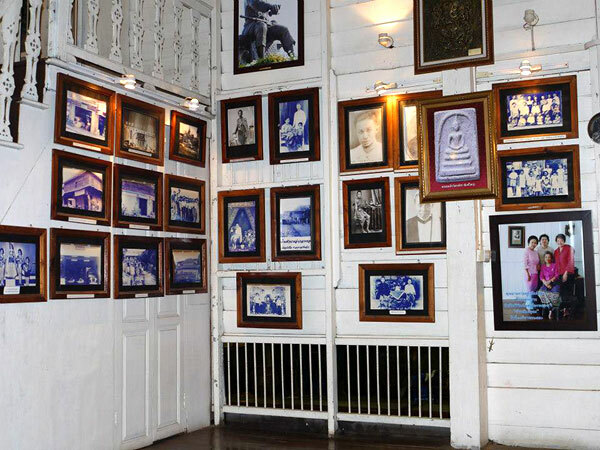 Unlike walking street, this gallery opens everyday from 9 AM to 6 PM. 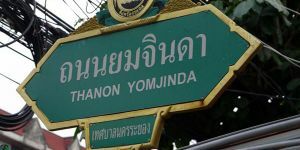 With development along with local community and support from province government, Yomjinda Street here can be a great example towards many other communities in Thailand to bring up its own uniqueness, where this characterized point will help to earn more income to locals. As Yomjinda Street is located in the city, it is not difficult for visitors to go there. If visitors arrive in Rayong at bus terminal, they can walk down across Sukhumvit Road and go further for a block to visit the street. 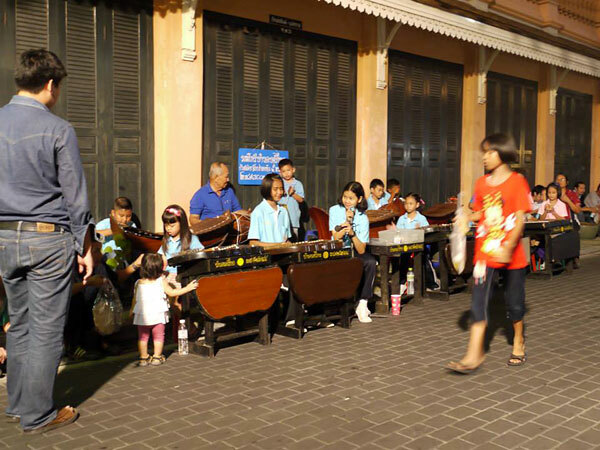 However, in the case of visiting walking street, make sure that it is at the evening of weekend. Sky view tower is an interesting place to visit in Rayong as visitors can see panoramic view of Rayong river and mangrove forest at the top of the tower. Not only the tower itself is interesting here, but the walkway is also fascinating with a plenty of mangroves, where the great natural atmosphere and an opportunity of exploring mangrove ecology are provided. The wonderful natural area like this is rarely seen even in Thailand, so when coming close to this area, don't hesitate to visit this sky view tower. It's really worth visiting and no fee of charge at its entrance at all. One of most well-known Buddhist structure is Phra Chedi Klang Nam, meaning the stupa in the middle of water. It is in fact the stupa built on the isle at Rayong river mouth. Rayong's most impressive Buddhist temple can be found on an island in the middle of the Rayong River. 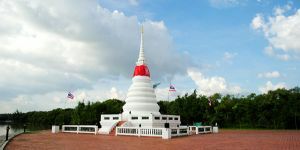 In the past, this 10-meters-high stupa was also a landmark to indicate sailors as a sign arrival in Rayong City. 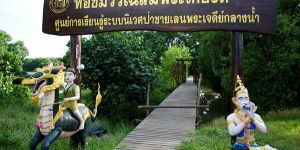 There are mangrove forest covering this location, where mangrove learning center is also available here for tourists to visit after having a look at the stupa. Saengchan Beach is the nearest famous beach from Rayong city, located about 6 kilometer far from the city. The name of this beach, "Saengchan Beach" meaning moonlight beach, comes from its identical. This beach is quite different from many other beaches because the appearance of the beach is like a lot of small moon crest connected together. The seawater is clear and the water is not deep, suitable for playing with the water near the shore. It is also not difficult for visitors to find a beachfront luxury hotels, seafood restaurants, and bars. 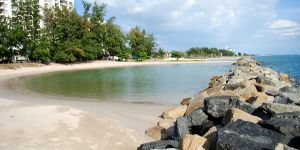 In short, this will be one of most interesting place in Rayong for those who would like to sunbath and enjoy swimming in front of a luxury hotel.